For other uses, see Army (disambiguation). An army (from Latin arma "arms, weapons" via Old French armée, "armed" [feminine]) or land force is a fighting force that fights primarily on land. In the broadest sense, it is the land-based military branch, service branch or armed service of a nation or state. It may also include aviation assets by possessing an army aviation component. In certain states, the term army refers to the entire armed forces (e.g., People's Liberation Army). Within a national military force, the word army may also mean a field army. In several countries, the army is officially called the Land Army to differentiate it from an air force called the Air Army, notably France. In such countries, the word "army" on its own retains its connotation of a land force in common usage. The current largest army in the world, by number of active troops, is the People's Liberation Army Ground Force of China with 1,600,000 active troops and 510,000 reserve personnel followed by the Indian Army with 1,129,000 active troops and 960,000 reserve personnel. For the magazine Army History, see United_States_Army_Center_of_Military_History § Fellowships_and_publications. India's armies were among the first in the world. The first recorded battle, the Battle of the Ten Kings, happened when an Hindu Aryan king named Sudas defeated an alliance of ten kings and their supportive chieftains. During the Iron Age, the Maurya and Nanda Empires had the largest armies in the world, the peak being approximately over 600,000 Infantry, 30,000 Cavalry, 8,000 War-Chariots and 9,000 War Elephants not including tributary state allies. In the Gupta age, large armies of longbowmen were recruited to fight off invading horse archer armies. Elephants, pikemen and cavalry were other featured troops. In Rajput times, the main piece of equipment was iron or chain-mail armour, a round shield, either a curved blade or a straight-sword, a chakra disc and a katar dagger. The states of China raised armies for at least 1000 years before the Spring and Autumn Annals. By the Warring States period, the crossbow had been perfected enough to become a military secret, with bronze bolts which could pierce any armor. Thus any political power of a state rested on the armies and their organization. China underwent political consolidation of the states of Han (韓), Wei (魏), Chu (楚), Yan (燕), Zhao (趙) and Qi (齊), until by 221 BCE, Qin Shi Huang (秦始皇帝), the first emperor of the Qin dynasty, attained absolute power. This first emperor of China could command the creation of a Terracotta Army to guard his tomb in the city of Xi'an (西安), as well as a realignment of the Great Wall of China to strengthen his empire against insurrection, invasion and incursion. Sun Tzu's The Art of War remains one of China's Seven Military Classics, even though it is two thousand years old. Since no political figure could exist without an army, measures were taken to ensure only the most capable leaders could control the armies. Civil bureaucracies (士大夫) arose to control the productive power of the states, and their military power. The Spartan Army was one of the earliest known professional armies. Boys were sent to a barracks at the age of seven or eight to train for becoming a soldier. At the age of thirty they were released from the barracks and allowed to marry and have a family. After that, men devoted their lives to war until their retirement at the age of 60. Unlike other civilizations, whose armies had to disband during the planting and harvest seasons, the Spartan serfs or helots, did the manual labor. This allowed the Spartans to field a full-time army with a campaign season that lasted all year. The Spartan Army was largely composed of hoplites, equipped with arms and armor nearly identical to each other. Each hoplite bore the Spartan emblem and a scarlet uniform. The main pieces of this armor were a round shield, a spear and a helmet. The Roman Army had its origins in the citizen army of the Republic, which was staffed by citizens serving mandatory duty for Rome. Reforms turned the army into a professional organization which was still largely filled by citizens, but these citizens served continuously for 25 years before being discharged. The Romans were also noted for making use of auxiliary troops, non-Romans who served with the legions and filled roles that the traditional Roman military could not fill effectively, such as light skirmish troops and heavy cavalry. After their service in the army they were made citizens of Rome and then their children were citizens also. They were also given land and money to settle in Rome. In the Late Roman Empire, these auxiliary troops, along with foreign mercenaries, became the core of the Roman Army; moreover, by the time of the Late Roman Empire tribes such as the Visigoths were paid to serve as mercenaries. In the earliest Middle Ages it was the obligation of every aristocrat to respond to the call to battle with his own equipment, archers, and infantry. This decentralized system was necessary due to the social order of the time, but could lead to motley forces with variable training, equipment and abilities. The more resources the noble had access to, the better his troops would be. Initially, the words "knight" and "noble" were used interchangeably as there was not generally a distinction between them. While the nobility did fight upon horseback, they were also supported by lower class citizens – and mercenaries and criminals – whose only purpose was participating in warfare because, most often than not, they held brief employment during their lord's engagement. As the Middle Ages progressed and feudalism developed in a legitimate social and economic system, knights started to develop into their own class with a minor caveat: they were still in debt to their lord. No longer primarily driven by economic need, the newly established vassal class were, instead, driven by fealty and chivalry. As central governments grew in power, a return to the citizen armies of the classical period also began, as central levies of the peasantry began to be the central recruiting tool. England was one of the most centralized states in the Middle Ages, and the armies that fought in the Hundred Years' War were, predominantly, composed of paid professionals. In theory, every Englishman had an obligation to serve for forty days. Forty days was not long enough for a campaign, especially one on the continent. Thus the scutage was introduced, whereby most Englishmen paid to escape their service and this money was used to create a permanent army. However, almost all high medieval armies in Europe were composed of a great deal of paid core troops, and there was a large mercenary market in Europe from at least the early 12th century. As the Middle Ages progressed in Italy, Italian cities began to rely mostly on mercenaries to do their fighting rather than the militias that had dominated the early and high medieval period in this region. These would be groups of career soldiers who would be paid a set rate. Mercenaries tended to be effective soldiers, especially in combination with standing forces, but in Italy they came to dominate the armies of the city states. This made them considerably less reliable than a standing army. Mercenary-on-mercenary warfare in Italy also led to relatively bloodless campaigns which relied as much on maneuver as on battles. In 1439 the French legislature, known as the Estates General (French: états généraux), passed laws that restricted military recruitment and training to the king alone. There was a new tax to be raised known as the taille that was to provide funding for a new Royal army. 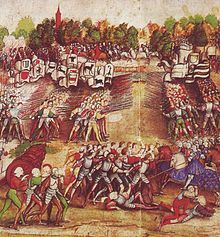 The mercenary companies were given a choice of either joining the Royal army as compagnies d'ordonnance on a permanent basis, or being hunted down and destroyed if they refused. France gained a total standing army of around 6,000 men, which was sent out to gradually eliminate the remaining mercenaries who insisted on operating on their own. The new standing army had a more disciplined and professional approach to warfare than its predecessors. The reforms of the 1440s, eventually led to the French victory at Castillon in 1453, and the conclusion of the Hundred Years' War. By 1450 the companies were divided into the field army, known as the grande ordonnance and the garrison force known as the petite ordonnance. First nation states lacked the funds needed to maintain standing forces, so they tended to hire mercenaries to serve in their armies during wartime. Such mercenaries typically formed at the ends of periods of conflict, when men-at-arms were no longer needed by their respective governments. The veteran soldiers thus looked for other forms of employment, often becoming mercenaries. Free Companies would often specialize in forms of combat that required longer periods of training that was not available in the form of a mobilized militia. As late as the 1650s, most troops were mercenaries. However, after the 17th century, most states invested in better disciplined and more politically reliable permanent troops. For a time mercenaries became important as trainers and administrators, but soon these tasks were also taken by the state. The massive size of these armies required a large supporting force of administrators. The newly centralized states were forced to set up vast organized bureaucracies to manage these armies, which some historians argue is the basis of the modern bureaucratic state. The combination of increased taxes and increased centralisation of government functions caused a series of revolts across Europe such as the Fronde in France and the English Civil War. In many countries, the resolution of this conflict was the rise of absolute monarchy. Only in England and the Netherlands did representative government evolve as an alternative. From the late 17th century, states learned how to finance wars through long term low interest loans from national banking institutions. The first state to master this process was the Dutch Republic. This transformation in the armies of Europe had great social impact. The defense of the state now rested on the commoners, not on the aristocrats. However, aristocrats continued to monopolise the officer corps of almost all early modern armies, including their high command. Moreover, popular revolts almost always failed unless they had the support and patronage of the noble or gentry classes. The new armies, because of their vast expense, were also dependent on taxation and the commercial classes who also began to demand a greater role in society. The great commercial powers of the Dutch and English matched much larger states in military might. As any man could be quickly trained in the use of a musket, it became far easier to form massive armies. 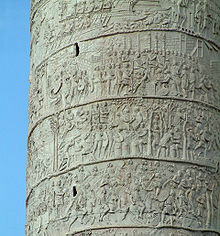 The inaccuracy of the weapons necessitated large groups of massed soldiers. This led to a rapid swelling of the size of armies. For the first time huge masses of the population could enter combat, rather than just the highly skilled professionals. The colonels of the French Guards and British guards politely discussing who should fire first at the Battle of Fontenoy (1745). An example of "lace war". It has been argued that the drawing of men from across the nation into an organized corps helped breed national unity and patriotism, and during this period the modern notion of the nation state was born. However, this would only become apparent after the French Revolutionary Wars. At this time, the levée en masse and conscription would become the defining paradigm of modern warfare. Before then, however, most national armies were in fact composed of many nationalities. In Spain armies were recruited from all the Spanish European territories including Spain, Italy, Wallonia (Walloon Guards) and Germany. The French recruited some soldiers from Germany, Switzerland as well as from Piedmont. Britain recruited Hessian and Hanovrian troops until the late 18th century. Irish Catholics made careers for themselves in the armies of many Catholic European states. Prior to the English Civil War in England, the monarch maintained a personal bodyguard of Yeomen of the Guard and the Honourable Corps of Gentlemen at Arms, or "gentlemen pensioners", and a few locally raised companies to garrison important places such as Berwick on Tweed or Portsmouth (or Calais before it was recaptured by France in 1558). Troops for foreign expeditions were raised upon an ad hoc basis. Noblemen and professional regular soldiers were commissioned by the monarch to supply troops, raising their quotas by indenture from a variety of sources. On January 26, 1661 Charles II issued the Royal Warrant that created the genesis of what would become the British Army, although the Scottish and English Armies would remain two separate organizations until the unification of England and Scotland in 1707. The small force was represented by only a few regiments. After the American Revolutionary War the Continental Army was quickly disbanded as part of the Americans' distrust of standing armies, and irregular state militias became the sole ground army of the United States, with the exception of one battery of artillery guarding West Point's arsenal. Then First American Regiment was established in 1784. However, because of continuing conflict with Native Americans, it was soon realized that it was necessary to field a trained standing army. The first of these, the Legion of the United States, was established in 1791. Until 1733 the common soldiers of Prussian Army consisted largely of peasantry recruited or impressed from Brandenburg–Prussia, leading many to flee to neighboring countries. To halt this trend, Frederick William I divided Prussia into regimental cantons. Every youth was required to serve as a soldier in these recruitment districts for three months each year; this met agrarian needs and added extra troops to bolster the regular ranks. The first Ottoman standing army were Janissaries. They replaced forces that mostly comprised tribal warriors (ghazis) whose loyalty and morale could not always be trusted. The first Janissary units were formed from prisoners of war and slaves, probably as a result of the sultan taking his traditional one-fifth share of his army's booty in kind rather than cash. From the 1380s onwards, their ranks were filled under the devşirme system, where feudal dues were paid by service to the sultan. The "recruits" were mostly Christian youths, reminiscent of mamluks. China organized the Manchu people into the Eight Banner system in the early 17th century. Defected Ming armies formed the Green Standard Army. These troops enlisted voluntarily and for long terms of service. Conscription allowed the French Republic to form the Grande Armée, what Napoleon Bonaparte called "the nation in arms", which successfully battled European professional armies. Conscription, particularly when the conscripts are being sent to foreign wars that do not directly affect the security of the nation, has historically been highly politically contentious in democracies. Canada also had a political dispute over conscription during World War II. Similarly, mass protests against conscription to fight the Vietnam War occurred in several countries in the late 1960s. In developed nations, the increasing emphasis on technological firepower and better-trained fighting forces, the sheer unlikelihood of a conventional military assault on most developed nations, as well as memories of the contentiousness of the Vietnam War experience, make mass conscription unlikely in the foreseeable future. Russia, as well as many other nations, retains mainly a conscript army. There is also a very rare citizen army as used in Switzerland (see Military of Switzerland). Corps: A corps usually consists of two or more divisions and is commanded by a lieutenant general. Division: Each division is commanded by a major general, and usually holds three brigades including infantry, artillery, engineers and communications units in addition to logistics (supply and service) support to sustain independent action. Except for the divisions operating in the mountains, divisions have at least one armored unit, some have even more depending upon their functionality. The basic building block of all ground force combat formations is the infantry division. Brigade: A brigade is under the command of a brigadier or brigadier general and sometimes is commanded by a colonel. It typically comprises three or more battalions of different units depending on its functionality. An independent brigade would be one that primarily consists of an artillery unit, an infantry unit, an armour unit and logistics to support its actions. Such a brigade is not part of any division and is under direct command of a corps. A field army is composed of a headquarters, army troops, a variable number of corps, typically between three and four, and a variable number of divisions, also between three and four. A battle is influenced at the Field Army level by transferring divisions and reinforcements from one corps to another to increase the pressure on the enemy at a critical point. Field armies are controlled by a general or lieutenant general. A particular army can be named or numbered to distinguish it from military land forces in general. For example, the First United States Army and the Army of Northern Virginia. In the British Army it is normal to spell out the ordinal number of an army (e.g. First Army), whereas lower formations use figures (e.g. 1st Division). Armies (as well as army groups and theaters) are large formations which vary significantly between armed forces in size, composition, and scope of responsibility. In the Soviet Red Army and the Soviet Air Force, "Armies" could vary in size, but were subordinate to an Army Group-sized "front" in wartime. In peacetime, a Soviet army was usually subordinate to a military district. Viktor Suvorov's Inside the Soviet Army describes how Cold War era Soviet military districts were actually composed of a front headquarters and a military district headquarters co-located for administration and deception ('maskirovika') reasons. ^ Roy, Kaushik (2004-01-01). India's Historic Battles: From Alexander the Great to Kargil. Orient Blackswan. pp. 28–31. ISBN 9788178241098. ^ "You conquered the empire on horseback, but from horseback you will never succeed in ruling it." —Lu Chia, as quoted by Joseph Needham, Science and Civilisation in China. vol 7, part II. ^ Knighton, Andrew (May 7, 2018). "The Roman Army – The Development Of One Of The Most Powerful Military Forces In The Ancient World". War History Online. Retrieved 4 September 2018. ^ Bouchard, Constance Brittain (1998). Strong of Body, Brave and Noble: Chivalry and Society in Medieval France. Ithaca: Cornell University Press. p. 13. ISBN 0801430976. ^ Carruthers, Bob (2013). Medieval Warfare. Pen and Sword. p. 10. ISBN 9781781592243. ^ Vale, M.G.A. (1992). Charles VII. Berkeley: University of California Press. ^ Clark, Christopher (2006). Iron Kingdom: The Rise and Downfall of Prussia 1600–1947. Cambridge: Belknap Press of Harvard. p. 97. ISBN 0-674-02385-4. ^ Koch, H. W. (1978). A History of Prussia. New York: Barnes & Noble Books. p. 88. ISBN 0-88029-158-3. ^ "Subdivisions of the army". Archived from the original on 2006-11-16. Retrieved 2007-01-21.